How ready is your business to deliver sustainable growth and success? Innovative ideas are vital to success in the marketplace, but for every technological advance that achieves widespread market adoption there are always many others that fail. 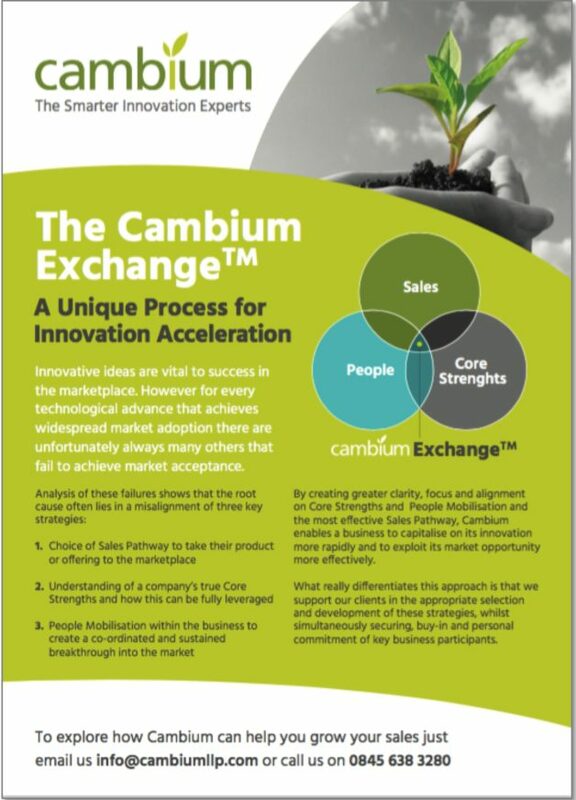 The Cambium ExchangeTM helps your business to succeed. It accelerates your growth by creating greater clarity, focus and alignment of your core strengths, people and business development strategy. To find out more about how a short duration, high impact, Cambium Exchange™ can help your business, download this overview.